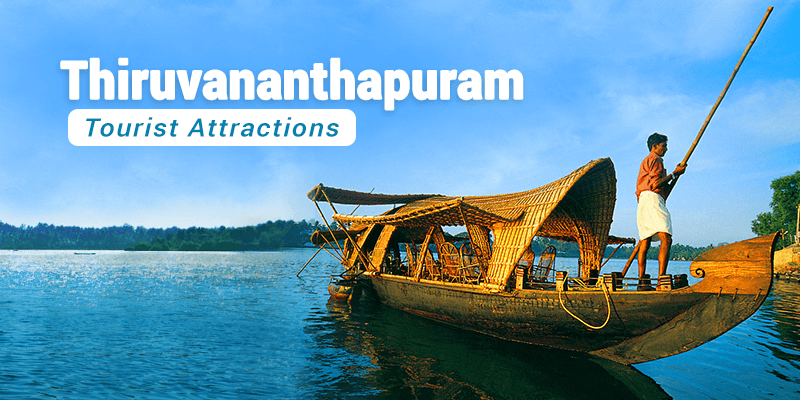 Thiruvananthapuram, which is popularly known as Trivandrum, is a jewel among the tourist places in Kerala. Back in times, this is city built upon seven hills, was popular among the seafaring explorers and soon developed into a busy metropolis. The city has never looked back since those early days of glory. 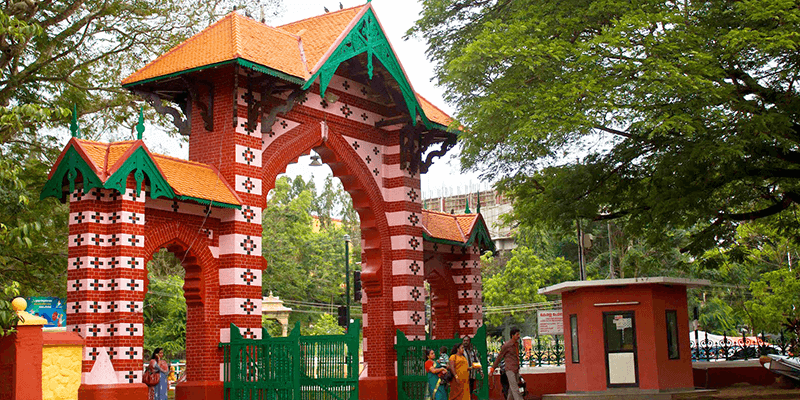 Today’s Trivandrum tourist places transport you into a bygone era, with uniquely designed palaces and incredible museums. But Trivandrum sightseeing is not only limited to witnessing the past. There are splendid beaches, sacred Hindu temples and of course the beautiful city (lined with coconut and palm trees) gives tourists plenty of options regarding the places to visit in Trivandrum. And guess what January is the best month to pay a visit to this coastal paradise. Padmanabhaswamy temple (also known as Anantha Padmanabhaswamy temple) is one of the ‘must visit of Hindu Temples of India’. Rich in history, Padmanabhaswamy temple is known for its Dravidian style of architecture with intricate wood carvings alongside bronze and wall murals. One of the main attractions of this temple is the 18 feet high Lord Vishnu idol, that can be seen right when you enter through the three main doorways. In recent times, the Sree Padmanabhaswamy temple vault B came into news when huge quantities of gold were uncovered from there. Being one of the most sacred temples in India, shoes are not allowed within the campus and the devotees have to walk barefooted over the age old granite slabs and white sand while touring the Padmanabhaswamy temple. Trivia: This temple is owned by the royal family of Travancore, who even today, start their day taking blessings from the deity. When the Royal family visits the temple, the general Darshans are paused for a while. 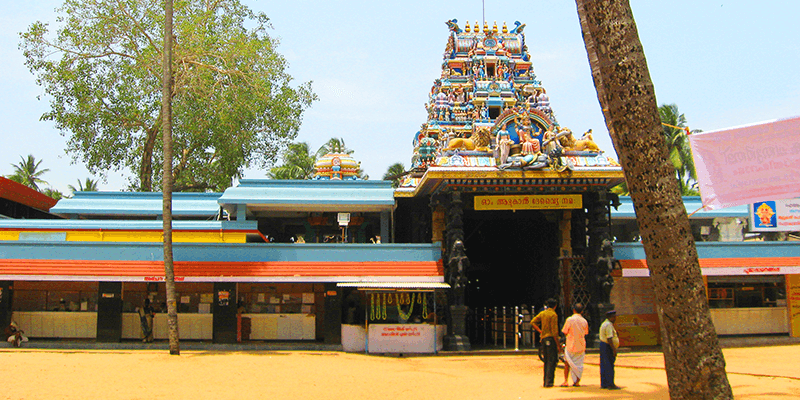 Restrictions: Non-hindus are not allowed inside the temple; climbing to the temple top (Gopuram) is not allowed on all days; cell phones and cameras are not allowed inside the temple premise. Dress Code: Wearing traditional mundu is mandatory for men. Wearing saree with blouse is mandatory for women. They have to additional cover themselves with a drape cloth. Tips: It is a great place to meditate, so take along a bamboo mat. 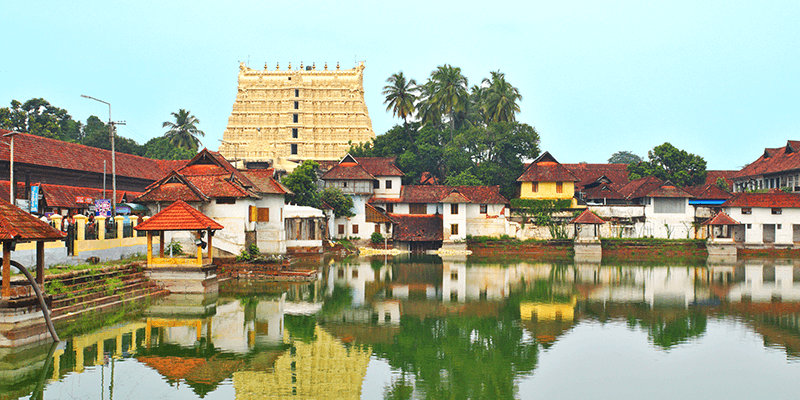 The best time to visit the Sree Anantha Padmanabhaswamy temple is early in the morning, when there is least crowd. Kuthiramalika Palace Museum (also known as Puthenmalika Palace) is not a royal palace. Infact, ‘Kuthiramalika’means “palace of horses” and the museum is well known for its carving of 122 horses on the southern roof. 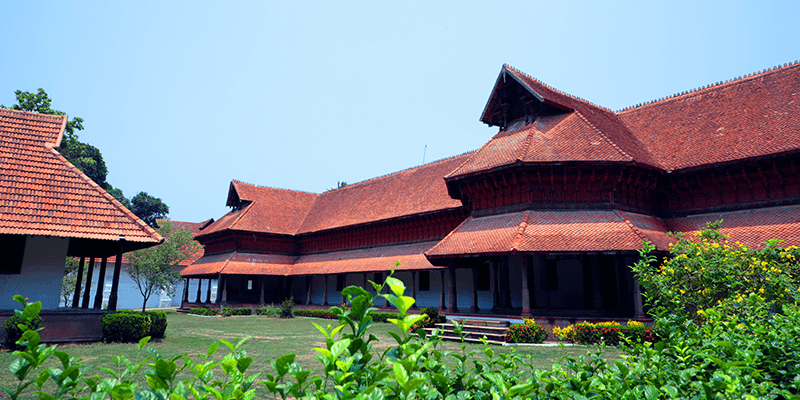 Situated close to the Padmanabhaswamy Temple, the Kuthiramalika Palace Museum is best known for its gracious two-storeyed thatched roof structure and uniquely designed rooms. There are 80 beautifully designed rooms within this building, and each has a different design from the next, and out of these 20 are open for public viewing. 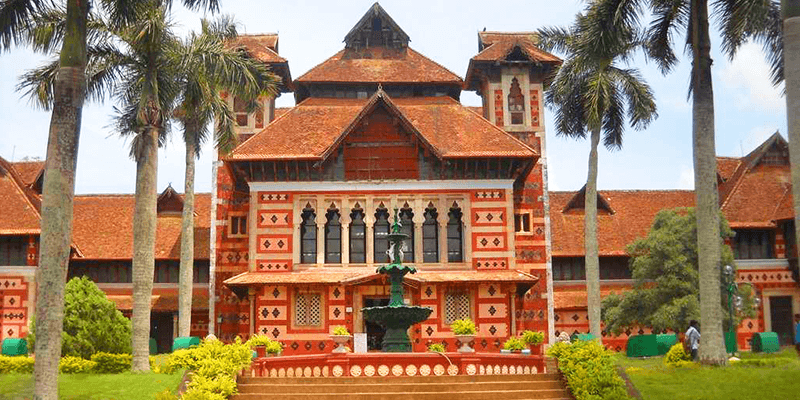 Some of the other attractions of this museum include the exquisite wood carvings, paintings and other collections from the royal family of Travancore. Trivia: There is a Music Festival organized at this Museum, each year between January 4-13. Things to buy: Bamboo crafts, elephants, boat house, red gold jewellery and show pieces. Vellayani Kayal is the best place to take a soothing boat ride and enjoy the beauty of nature. The boat ride takes you through dense vegetation of aquatic plants (including Lotus) and offers a panoramic view of the surroundings. This tourist place in Trivandrum encourages you to spend some lazy hours just gazing at the beauty of nature. Boat Ride Fees: Varies from INR 80-250. Activities: Boat ride, Fishing and watching the sunset. Attukal Bhagavathy Temple (or simply Attukal temple) has a mention in the Guinness World Book of Records. During the Attukal Pongala festival 2009, 2.5 million women gathered at this temple making it the ‘single largest gathering of women for a religious activity’. The Attukal temple, also known as the Sabarimala for Women, is known for its beautiful architecture (which is a mixture of the Kerala and Tamil styles). The idol at this sacred temple is a perfect example of grace and beauty. All through the temple there are many beautiful structures and murals. Must See: Idols of Lord Shiva, Lord Ganesha, Lord Madan Thampooram and Nagar apart from the main deity. Tips: If you want to organize the first rice feeding ceremony for your little one then this is the best place. The Trivandrum Zoo began its journey as a menagerie in 1800s. Under the patronage of Swathi Thirunal Rama Varma, the zoo boasted of a rich collection of wild animals such as royal tigers, panthers, cheetahs, deer and wild boar. In 1857, the menagerie was converted into a zoo. Today, the Trivandrum Zoo is one of the oldest zoo in India. The zoo has changed its goal from being a centre for recreation to conservation. The zoo consists of a large collection of Indigenous species animals, including Nilgiri langur, lion-tailed macaque, Indian rhinoceros, Royal Bengal Tiger, Asiatic lion white tiger, leopard and Asiatic elephants. But what the zoo is really popular for is its collection of African species such as giraffes, hippos, zebras, and Cape buffalos. Entry Fees: INR 5 for children below 12 years, INR 20 for tourists above 12 Years. On Sundays the Zoo offers free entries for children up to 15 years age. Established in the year 1855, Napier Museum is one of the Museums you must visit in India. This vast museum has a collection of Mughal, Chinese, Italian and of course Kerala style of art. There are exquisite paintings, bronze and terracotta sculptures, ancient ornaments as well as a temple chariot in the rich collection of exhibits. Things to buy: Painted postcards and other souvenirs. Must See: Exquisite oil paintings by Raja Ravi Verma displayed at Shri Chithra Art Gallery. Next articleWeird railway station names that make you laugh!